In this training, I will teach you how to make money online with affiliate marketing. Affiliate marketing is a recommendation-based marketing business. In affiliate marketing, you simply recommend a product or service to someone, when the person buys that product or service, they pay you a commission from the sales. Like I said in the previous training, I am currently making at least NGN20,000 from affiliate marking from Konga and Jumia affiliate. This is small because, I am not focusing on it. This year, Pascal Okafor, the owner of NaijaTechGuide celebrated his NGN1Million naira affiliate commission from Konga. Other bloggers who have made it big in affiliate marking in Nigeria are Jide Ogunsanya of OgbongeBlog and Peter Kanayo of Compelling Adverts. So, affiliate marketing works like magic. You can make huge amount of money if you understand it. That’s why I brought this training to you today. Like I said earlier, affiliate marketing is a referral based marketing business. You can make money from affiliate marking by promoting products or services. If the person buys the stuff, you will be paid an agreed commission on each sales. How Much Can I make from Affiliate Marketing Business? (a) Commission rate: The higher the commission rate, the higher the earnings. 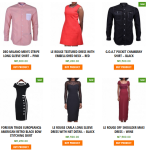 See for instance, all konga fashion products have a commission rate of 9%. This means that if you are promoting a wedding dress of NGN 85,000, If the person buys the wedding dress, you will be paid NGN7,650 per sales. Other categories like electronics or phones has 3% commission rate. (b) Price of the Product. Sure, the higher the price of the product your are promoting, the higher the commission rate. See for instance, if you are promoting a product like LG 55 Inch 3D Smart TV of NGN470,000, and the person buys it, your commission per sale will be NGN14,100. Have you seen that? 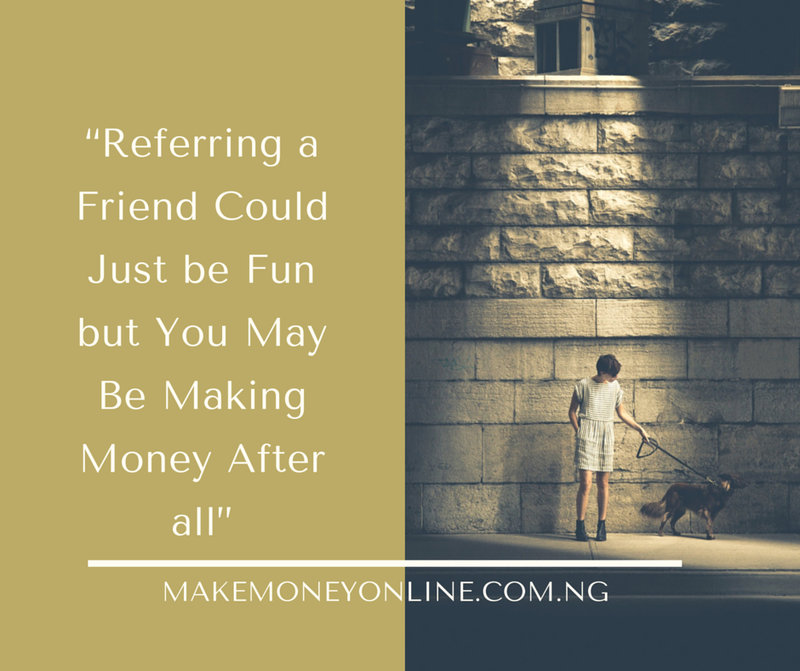 This means that you can make NGN14, 000 in just one referral. (c) Buying Rate: This is rate at which a product is bought. There are products that are frequently bought. These are fashion, foods, toiletries etc. Also, there are complementary products too. A Typical example is women dresses. So, if the product you are promoting has high buying rate, you will make more money. (d) Your marketing Strategy: Of course, every successful business needs a good marketing strategy. Marketing strategy are those things you do to increase sales in your business. If you are using blog or website to send referral links, make sure you have high targeted traffic. The higher the web traffic, the higher the sales and the higher the commission. Another good marketing strategy is a working email list. You will have to learn email marketing, I will still teach you in the course of this training. 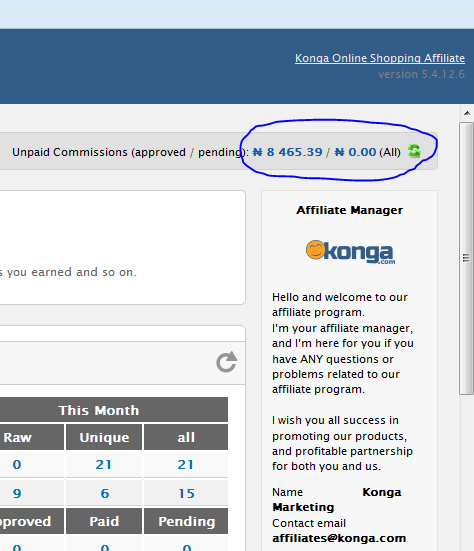 So, how much can you make from Konga affiliate marketing? konga affiliate marketing business. The amount you can make depends on the factors I explained above. Some people make above NGN200,000 per day. Me I make at least NGN800 per day. You can do more. Do you have a smart phone? Do you have access to internet? If yes, you can start Konga affiliate marketing today. See the steps below. There you will see banners and links you can use to promote the products on Konga Online Store. 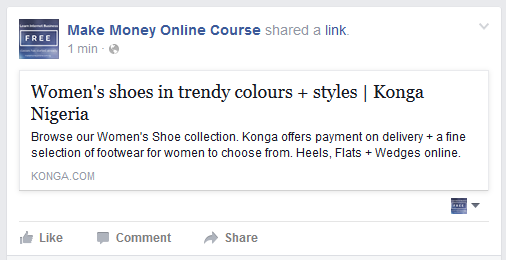 Once you are able to make sales, Konga will send you a notification via your email email. See example below. 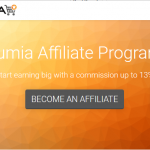 After signing up, you are now an official Konga Affiliate Marketer. 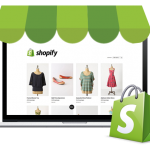 You can then promote products from Konga Online Store and earn a commission from each sales. These are tips for you to succeed. (1) Have a Blog: You need to have a blog for your campaign. This is where you can write more about the product you are promoting. You can write and publish product reviews on your blog. You will use your blog as a contact point between you and your potential buyers. 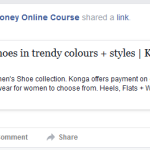 Then, embed products links or banners on your blog to encourage clicks to Konga Online store. It’s very easy to have your own blog. Signup for Web Hosting and get FREE Domain name and more with Bluehost. (2) Build an Email List: With the help of your blog, you will be able to build and grow your email list. You can make more money by sending periodical promotions to subscribers in your email list. 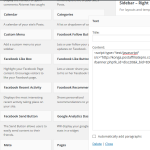 (3) Create a Facebook Page for your blog or product you are promoting. Konga minimum payout is NGN5,000. They will send your payment commission to the bank account you provided during signup. (1) Click on My Profile > Payment Details. (3) Setup your payment details with your bank account name and number. After this process, once your commission reach the payment threshold, your payment will be sent to your bank account. In the next training, I will be teaching you another method you can make money online. All secretes will be revealed to you. If you have any question, kindly ask them in the comments section below. Thanks so much for your effort. But how will i know if the product i am promoting has been purchased. 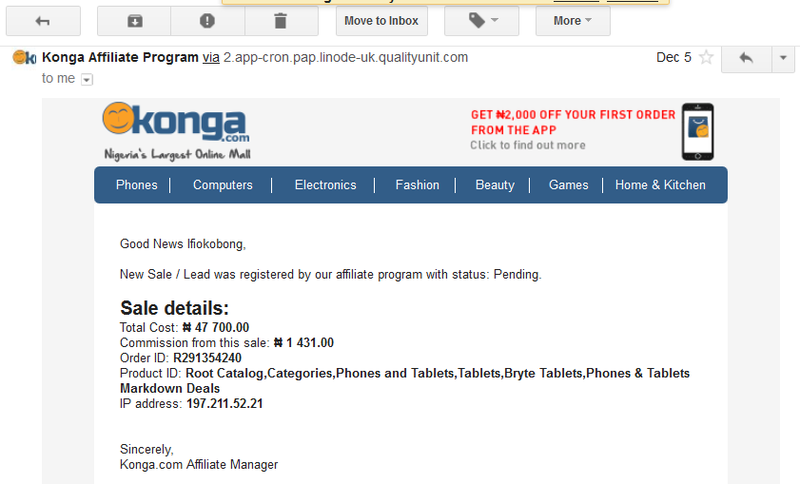 Sure, you will receive an email alert from konga stating the products bought, amount and your own commission. You gonna be Great, I promise you that. Bravo! 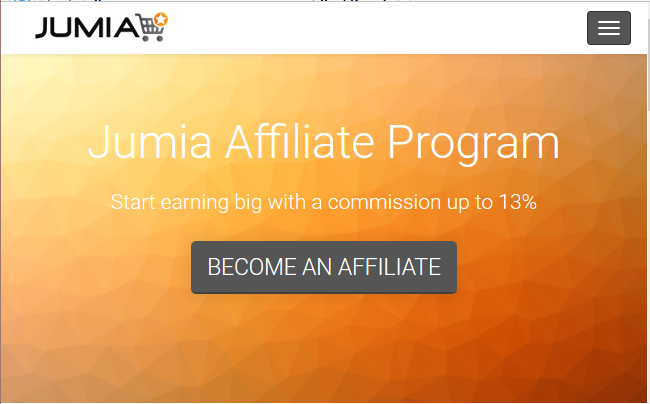 Wow, great article exposing another way to make money from affiliate marketing, particularly from Konga and Jumia…this proved that its not only Clickbank is the best. Nigeria is now stepping up in Affiliate Marketing Business. Thanks once for the article. Try ot again after sometimes. Success! registration. please what can I do? Try to refresh the page or try it after some times. Success!